Top: Schematic representation of the artificial transcription factor. 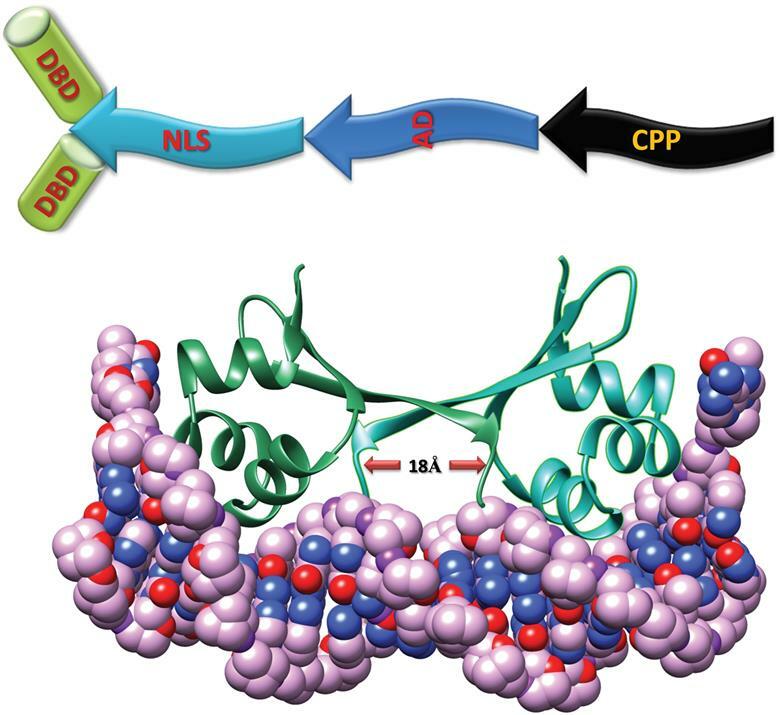 DBD = DNA binding domain, NLS = nuclear localisation signal, AD = activationdomain, CPP = cell penetrating peptide. Bottom: The main DNA recognition motif is a pair of symmetry related helices inserted into the major groove of the target DNA. Read the full story by Fiona Tscherny on Chemistry World.